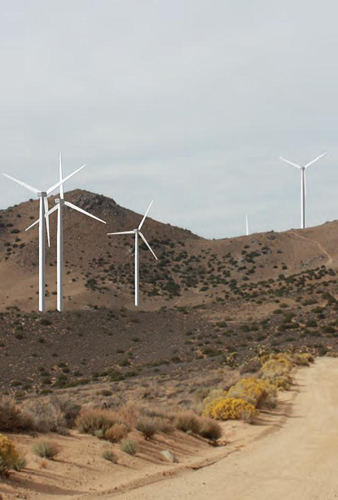 Aspen assisted the Kern County Planning and Community Development Department with the California Environmental Quality Act process for the North Sky River Wind Energy Project and Jawbone Wind Energy Project. The project consists of two applications, proposed by separate applicants that were collectively addressed in one EIR. The North Sky River Wind Energy Project was proposed by North Sky River Energy, LLC and the Jawbone Wind Energy Project was proposed by Jawbone Wind Energy, LLC. Aspen prepared an environmental impact report (EIR) for the project, which was certified by the Kern County Board of Supervisors. The two wind energy generation facilities will generate up to 339 megawatts of electricity from wind turbine generators on an approximately 13,535-acre site in unincorporated Kern County, California. The project required approval of multiple zone changes and two Conditional Use Permits. Wind energy will be transferred to Southern California Edison’s 220-kilovolt transmission system and sold to a power purchaser in furtherance of the goals of the California Renewables Portfolio Standard. The EIR evaluated potential impacts of implementing a change in zone classification to incorporate the Wind Energy Combining District to the base district for approximately 2,442 acres of the project site. Aspen also assisted in the review of environmental technical reports prepared by the applicant, preparation of the Findings of Fact and Statement of Overriding Considerations, and preparation of the mitigation monitoring and reporting program.